Bad luck and cancer: Does evolution spin the wheel of fortune? Cancer is a complex disease, with sophisticated cellular mechanisms as the targets of evolutionary processes driven by random genetic and epigenetic mutations. 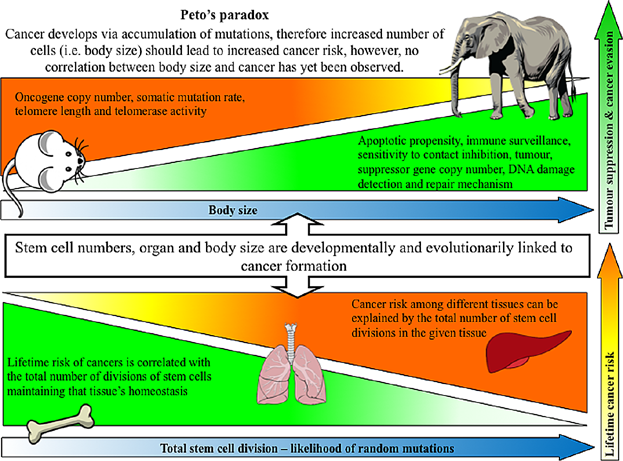 Oncogenesis is evolutionarily linked to stem cell numbers/mutations and organ/body size; therefore, inter-disciplinary frameworks across different scales (cellular, tissue, organs and species) are necessary to decipher cancer progression. Nynke Raven receives the Head of School’s Excellence in Personal Achievement Award!